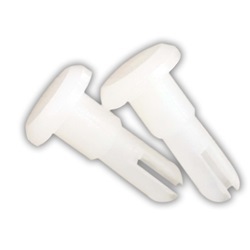 White chin rest pins that are designed to fit Topcon and other name brand slit lamps. Shaft measures 6.5mm long x 4mm in diameter. 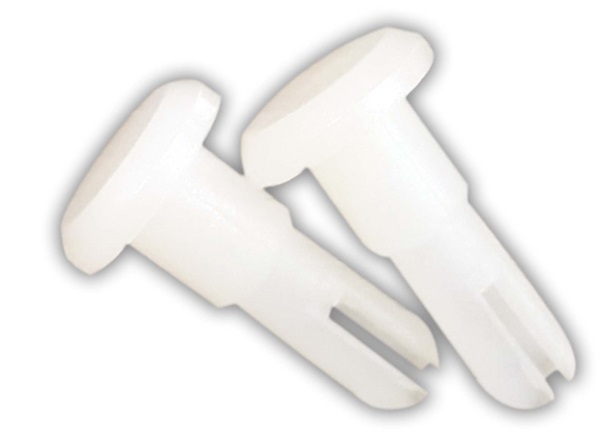 Pin head measures 8.85mm in diameter. Manufactured by Amcon. Comes as a pair.